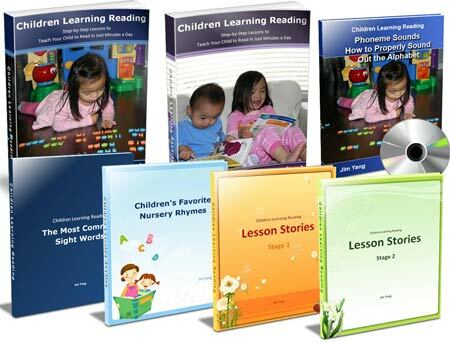 Have you been looking at how to teach a 3-year-old to read at home? Let’s say you’ll be starting from ground zero where your kid hasn’t mastered his alphabet and letter sounds yet. Maybe you haven’t been reading to him from day one. Where do you start now? Is it too late? Of course not. Every child learns at his own pace. Some children develop much faster in their language abilities where others might be very advanced in their physical abilities. But we as parents sure have the ability to foster our children into young readers, if we are willing to take up the teaching role ourselves. 3-year-olds are still very young children, and yet there are simple and powerful steps you can take to teach your child to read at home. To start it off, it would take commitment on your part if you want to teach your child to read at home. When you’re inspired to teach your own child to read, you’ll be motivated to find the right resources and tools to help your kid to read in the comfort of your own home. I applaud you for making the decision to be your child’s first teacher in teaching her to read. It’s a very important role and you’ll be giving your child a lifelong gift of reading that will reap her wonderful benefits now and in future. Recently, I’ve seen many efforts going on to encourage parents to read to their children. The most recent news I’ve read of is the statewide media campaign by First 5 California to encourage parents to talk, read and sing to their babies and toddlers, through the launch of TV commercials, radio ads, digital ads and even a parent’s website. All these recent efforts are in the wake of compelling research showing the importance of early brain development for young children aged from birth to 5 years old. So let’s stimulate our kiddos’ brain development a little by giving them some brain workouts through reading stories to them! It’s not necessary to stick to bed time reading. Other times of the day would do fine too. But aims to slot in some time, say 10-20 minutes each day if possible, to read to your kid. That 10-20 minutes of reading time a day would accumulate to many hours and many stories down the road. The bottom line is, read to your 3-year-old, regularly. 3-year-olds can have strong opinions about their likes and dislikes. They might even have their own opinions about books. You can look at these best books for three-year-old boys and best books for three-year-old girls. So choose books that cater to their passions. If your girl is into fairies, try to borrow or get your hands on some books about fairies. If your son is into animals, you can try to read him books that revolve around different animals. What you’re striving for here would be to instill in your child a love of reading, for a lifetime. To get it off to a great start, pick up books that are interesting to her. If it’s about her passions, she’s more likely to pick up the book and ask you to read it to her, or even sit quietly and browse through the book on her own. Even though the same story book might make you groan inwardly “Not again!” But once his interest in books is ignited, you can move on to introduce other types of books to him. Start introducing letter sounds to your 3-year-old. By now, he is likely to be speaking more clearly and fluently. Let him be aware that the words we speak, and the words we read are made up of letter sounds. Developing a sound knowledge of letter sounds would go towards aiding him in decoding words and sounding out words on his own in future. Repetition works wonder in letting him remember letter sounds. If you’re not familiar with the letter sounds, you can easily find videos on YouTube or get a phonic toy that teaches him while he plays. Try to slow down when you’re sounding out a word. Each time after you’ve sounded out the word, do pronounce the word as per normal. Besides reading to him, are there ways to help you teach your child to read? Yes! There are various children reading programs you can get your hands on. For me, since I started to teach my own toddler son to read at home, I’ve come to understand that a phonemic awareness (smallest units of letter sounds) based reading program, will have a higher success rate in turning out fluent readers. Such programs would emphasize on learning letter sounds, decoding words and blending letter sounds to pronounce words. Do you think it’s too early to teach a 3-year-old to read? What are your thoughts about early childhood reading? Share them with me here, I’d love to connect with you! ← Your Baby Can Read? Maybe Not.